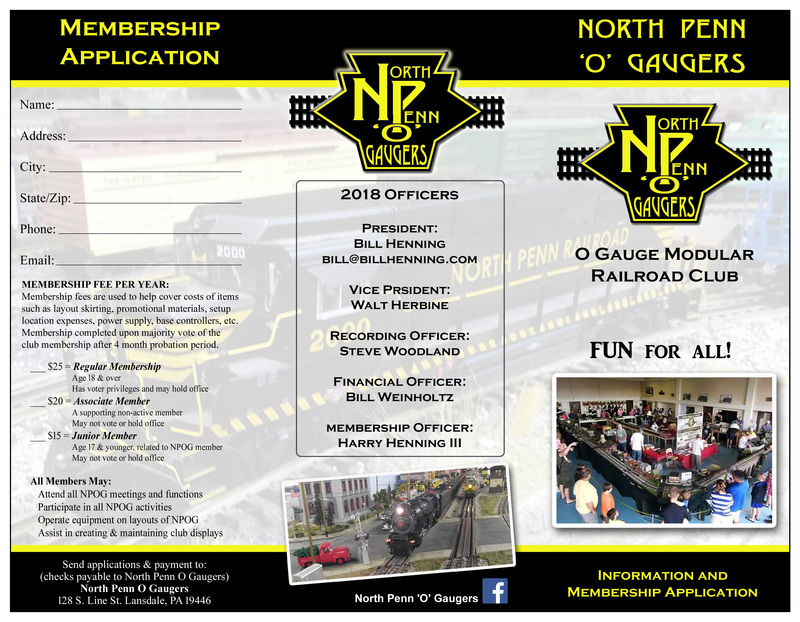 Below is the North Penn O Gaugers information booklet. Read it, print it, do with it what you want. There are a few revisions that we have to update it with but the information is mostly in place. 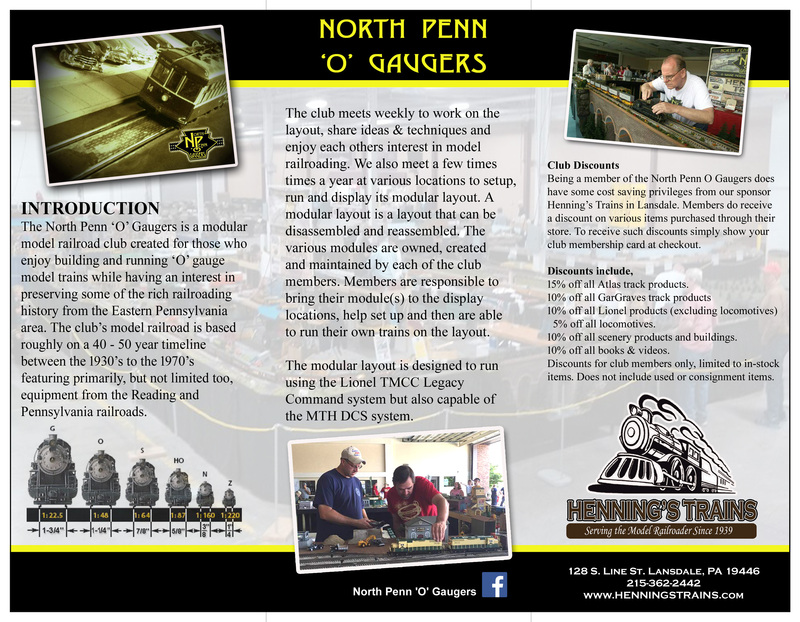 As you will notice this club is not following the Independent Hi-Railers standards that so many O gauge modular clubs follow. We believe they are great standards to go by but we have elected to take a slightly different route. Though we are building a set of adapter modules to go from our standards to the Independent Hi-Railers standards as per the use of the Liberty Hi-Railers club. Everyone has been making good progress on thier modules. They all have some really good thoughts and ideas being developed into them. held there on the 3rd Monday of the month. stop at the train shop in Lansdale. 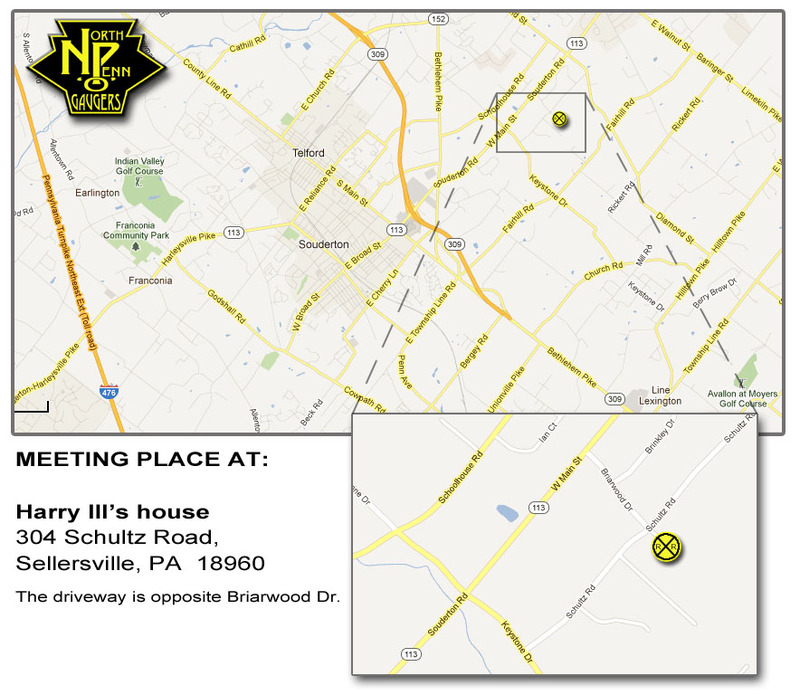 304 Schultz Road Sellersville, PA 18960. Below is a map. Any questions email or call. Site owned and maintained by: Henning's Trains, © 2013, All Rights Reserved.